Pipette Washer are made of polypropylene. Polyethylene washers include top inlet to prevent back-siphoning of contaminated water. Connect directly to drain line. Use water flow as low as 1.5 liters/minute. 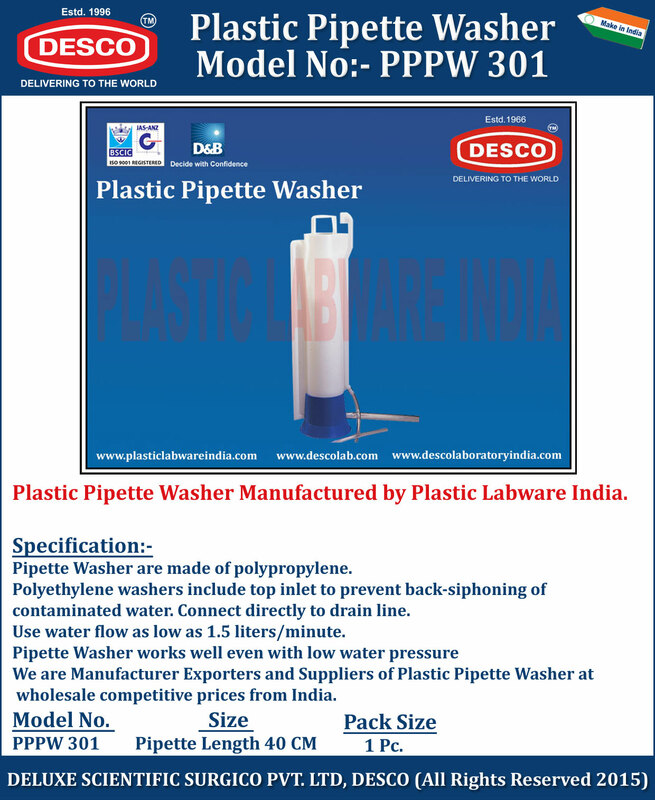 We are Manufacturer Exporters and Suppliers of Plastic Pipette Washer at wholesale competitive prices from India. PPPW 301 Pipette Length 40 CM 1 Pc.